Professional players have learned how to adapt to each referee as a match progresses and often have trained the previous week based on their reputation. They learn how far they can push the offside line or how long they can hold on to the ball before they hear the sharp piercing sound that means they’ve crossed the line. In the Northern hemisphere, the stereotype runs that penalties and forward based rugby can and will win games. In the most part that’s true when looking at our history. The 2003 England side along with the Munster and Leicester sides that dominated Europe for a period of time had a real fascination with goal kickers (see Wilko, 1/2p, Paterson, Sexton/O’Gara, Andy Goode). 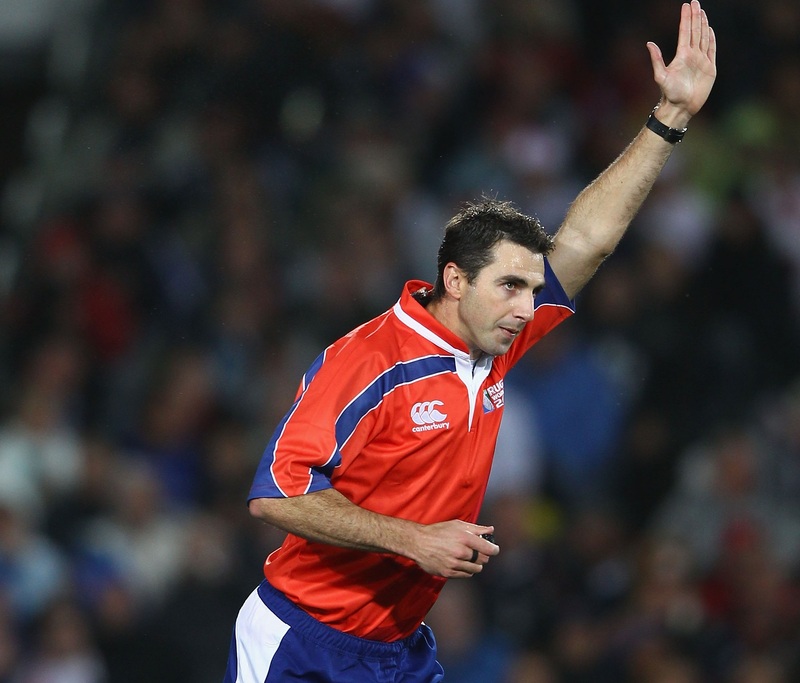 Referees are always coming under scrutiny every single game and the directions they receive on law interpretation from above can make or break major tournaments. Referees historically in the NH have allowed the slowing of the ball from rucks but they also penalise diving off your feet at rucks very strictly. Often this leads to a slower game plan with far less emphasis on increasing the pace of the game. This leads to tactical kicking and breeds a whole different kind of fly-half required from the coaching staff. This approach has flowed down into the academies and beyond with children who rightly grow up loving Wilkinson and Chris Paterson imitating their styles. None of this is to say that the SH don’t have tactical kicking battles with flyhalves and fullbacks engaging in a long range battle. But the Northern Hemisphere has historically lead the way in terms of taking 3s and keeping the scoreboard ticking over. 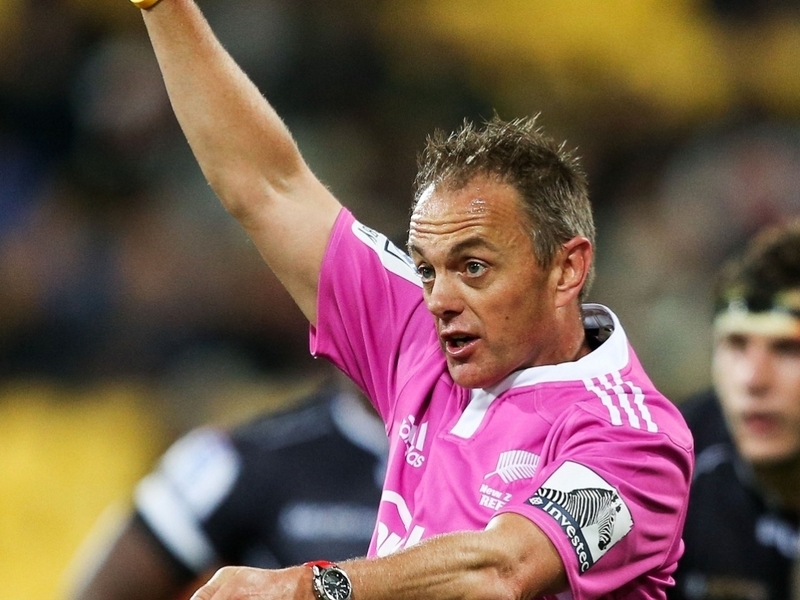 In the most recent Super rugby games this year it became clear in several matches that rucking straight off your feet for clearing out wasn’t going to be policed. This, along with a global clamp down on crocodile rolls, has to lead to changes in clear-out methods. As a result players from both sides took this advantage and used it to good effect creating fast dangerous ball, with full-bodied, off-their-feet commitment. It has also meant that any players who latched onto the ball and survived the first hit often got the turnover. This has a knock-on effect on how players ply their trade. If you aren’t contested after an initial salvo, you can win the ball. It also affects how many people you commit to clearing a ruck. If in the NH you have forwards that know the ball will not be cleared by one person staying on their feet then they must commit to the ruck to secure the ball as well. This quick ball in the SH means forwards find themselves in the backs attacking line and rather than be a hindrance they have been trained to become huge assets. The free-for-all allowed by referees at ruck time makes for a fast flowing game where the advantage is played for long periods after a knock-on has occurred. This forces the breakdown to become a non-issue with props and second row forwards learning to pass and offload to prevent a ruck from forming. If every player is a ball player then the ball should never be dropped and you should avoid contestable rucks as much as possible. NH refs often shout ‘’hands away now 7’’ or ’’lost ball’’, on the other side of the world you very rarely hear the ref give instructions on how the players should follow the laws of the ruck. The ruck is treated as a contest in the SH whereas in the NH the ruck is treated as another way for rugby to restart and set up the next phase of play. When the two styles and cultures collide on an International scale we can immediately see the differences. The strongest candidate showing this are the new Argentinian players, with their ball playing skills and fast brand of rugby shocking the Northern teams. Once a forward based goliath they’ve become one of the best offloading attack-from-deep sides to play the game. This has resulted from the need to adapt to the styles played in The Rugby Championship. To summarise, refereeing in all sports changes the nature of how the game is played and rugby is no different. If the refs allow a free for all contestable ruck situation then players will adapt. If they allow off their feet clear outs securing safe ball players will use this information to gain fast ball. If they love blowing their whistle and giving penalties early and often then investing in someone who can knock the ball between the posts for fun is mandatory. Rugby, like all sports, goes through cycles of styles that are sometimes molded by the superstar players. Other times they are molded by new laws or a changed interpretation of an old law. Maybe one day the NH style will become more dominant, but watching Super Rugby and the brand being sold by New Zealand, Australia and Argentina it could be a few years before we see that happening.